Vacate Cleaning Melbourne allows you to choose the right company for cleaning. And relief you stress-free. “Cleaning” word says complains and worries. When you book with vacate cleaning Melbourne. You don’t need to worry about anything. You have to book your service via email or phone. And then feel stress-free for the rest of time. Why? 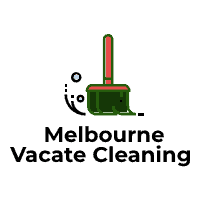 Melbourne vacate cleaning is the company. Who offered a 100% bond back cleaning service with written guaranteed. We offer affordable cost compared to some big heads. Our cleaning is easy & eco-friendly for environments. We also do inside and outside. So The windows to make impressive. Outside windows are being done request upon quote. We surprising charge extra for outside windows, garage, and balcony. We also do appliances in terms of an oven, fridge, AC, washing machine delightful. But we charge extra for those things. We are the #1 cleaning company. (Vacate Cleaning Melbourne) for getting the bond back for customers. Contact Us Or Call +61 416 057 536 Today For A Free Quote (Vacate Cleaning Melbourne). We are a small company. But always look after customers’ needs and requirements. We also go through real estate’s needs. In terms of cleaning and fulfil them if they are not happy. We have to come back and clean it for you. Before that, you have to book. And email us that email which was provided by the real-estate agent. We can review it and send it to cleaner. He will arrange a time with you. And come back for cleaning. First time in history of Melbourne It is the company. Who has cleaned more than 8000+ houses within 3 years. 99% have got them bond back within the first check. We also have 100% customer guaranteed ratios. You can see reviews online. And see what customers say about it. I have dealt with many companies. And I know what they do and apply strategy to get the job. Most of the companies offer you. A cheap quote over the phone to get that job. But once they get the job. And come to the property. They will try to make up one story. To get more money from customers. Having said that, they will say. The house is a bit messy windows are not good enough. And many more to get more money from you. Vacate cleaning service provider takes the responsibility of your vacate cleaning and bond money. They take care of the landlord’s Cleaning requirements. And make sure that you’ll get your 100% bond money. In Melbourne Vacate Cleaning. we always stick on the price. Whatever condition of the house is. We will give you a 100% bond back with guaranteed. Our cleaners are professionally trained. And well experienced to get you satisfaction. We have a Massive latest checklist for every real-estate agent. We also know what real-estate agent is asking. what things need to be cleaned. We always ask first to the customer that is you renting. Or what real-estate agent do you have? We always go through twice for cleaning. Make sure that we haven’t left anything. Cleaners are being taught for cleaning practice. And we have a pattern of cleaning the apartment and houses. We start with the kitchen then go to the bathrooms. And then the remaining part of the cleaning. We do carpet steam cleaning of the house. We follow a different pattern. Which is according to the mess of the house. Feel free to call us on 0416 057 536 for booking. Or email us on melbournevcatecleaning@gmail.com. Book services via email. And get 10% off on the best quote.